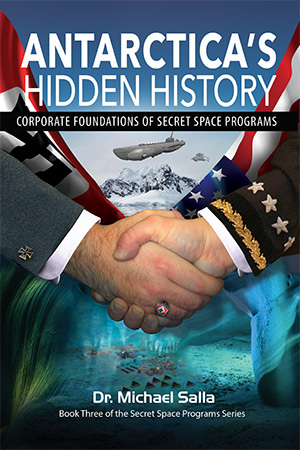 Corey Goode has had a remarkable rise to public prominence since first appearing in late 2014 as a whistleblower offering detailed testimony about his term of service in multiple secret space programs for 20 years. Since July 2015, he has been featured on Gaia TV’s weekly Cosmic Disclosure series episodes where he answers questions by the host, David Wilcock, about his past service and his ongoing current experiences as a liaison with a variety of secret space programs, national security leaders and extraterrestrial visitors. Goode’s Facebook page now has over 80,000 followers, his Youtube videos often gain hundreds of thousands of viewers, and his conference presentations meet sold-out crowds where he usually receives standing ovations. His testimony has been featured in two books, both authored by this writer (see here and here), which became Amazon best sellers. Goode recently did interviews for the History Channel’s popular Ancient Aliens series which reaches millions of mainstream American households. 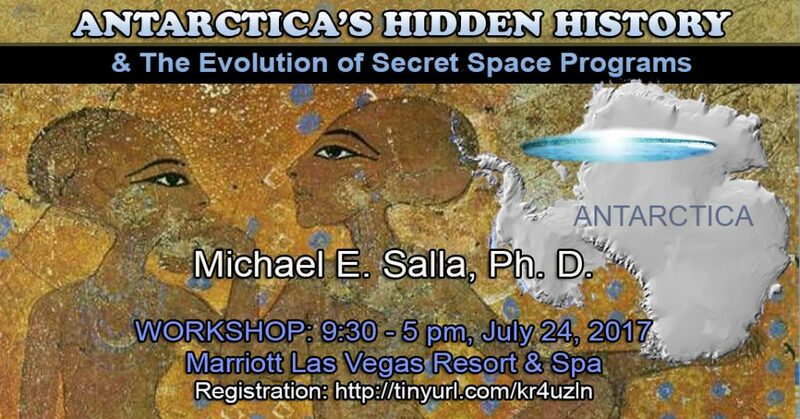 A good percentage of the Ancient Aliens audience are likely to be intrigued by this shy Texan’s claims of multiple secret space programs and alien visitation stretching back to the dawn of history. You would think that the celebrity status Goode has attracted would be manna from heaven for long-suffering UFO researchers marginalized by the mainstream media when it comes to claims about the reality of extraterrestrial visitation, and the secret government/military projects this has spawned. However, not all are happy about Goode’s remarkable rise and the widespread public attention he has gathered with his ground breaking testimony. UFO researchers, wanting to make their field as scientific as possible, have a long history of attacking anyone unable to back up their claims with hard evidence. If I had a dollar for every time Carl Sagan’s famous dictum, “extraordinary claims require extraordinary proof” was cited, I would gladly pay up front for the first all-electric flying car now under development. Rather than name any of Goode’s critics, I will summarize their main arguments against him. The first is that he has not submitted one iota of hard evidence for his claims. Two, he is developing a cult of personality where he is milking a gullible public to enrich himself. And, three, he has been disingenuous about his past and the circumstances that led him to become a whistleblower in the first place. Regarding the first criticism, it would make a UFO or exopolitics researcher’s life much easier if whistleblowers or witnesses had hard evidence for what they have seen or experienced. Sometimes, there is hard evidence that whistleblowers can provide. This is best illustrated in the case of former FAA Division Chief for Accidents and Investigations, John Callahan, who kept documents concerning a large UFO witnessed by the crew of a Japanese 747 aircraft on November 17, 1986. His documents not only corroborated the UFO sighting, but years later helped the pilot get reinstated by the airline that had grounded him for talking to the press. Unfortunately, it is rare for hard evidence to be available to directly support a whistleblower’s testimony. That is especially so when we are talking about Unacknowledged Special Access Programs where possession of hard evidence proving a specific program exists is a crime that can quickly lead to imprisonment for up to 10 years, and other significant penalties. Nevertheless, there are a variety of research tools available to social scientists wanting to evaluate whistleblower or witnesses testimony. Learning about their motivation for coming forward, the sincerity of their claims, their background, any circumstantial evidence supporting them, and cross comparison with other whistleblowers or witnesses are all helpful tools. 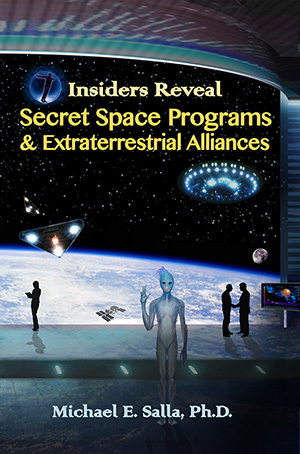 I used these research tools in my book, Insiders Reveal Secret Space Programs and Extraterrestrial Alliances (September 2015) examining Goode’s claims and concluded he was very credible. 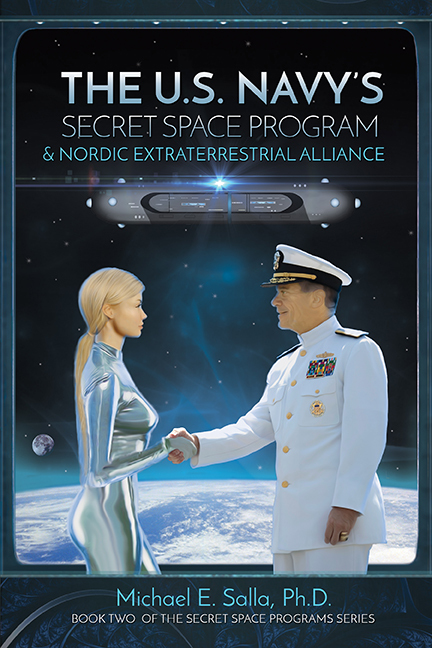 In my latest book, The US Navy’s Secret Space Program and Nordic Extraterrestrial Alliance (March 2017), I uncovered much in the documented claims of William Tompkins, a highly credentialed aerospace engineer whose many supporting documents also supported Goode’s testimony. In fact, when Tompkins first read my 2015 book about Goode, he was shocked since he thought he would be the first to reveal many of the historic events that were described in his own December 2015 book, Selected by Extraterrestrials. Regarding the second criticism that Goode is promoting a cult of personality through his newly achieved celebrity status, I have to say that is a very subjective criticism that smacks of jealousy. One of the first things that happens when anyone achieves a major degree of public attention is they naturally attract a team of helpers or an organization to assist them in dealing with the hundreds or thousands of emails, media requests, conference invitations, etc. When skilled people come on board to help with web design, graphics, video presentations, profile photos, etc., they are motivated to volunteer their services in order to get the core message out. This is especially pertinent to Gaia TV which specializes in Yoga, meditation, and personal transformation, areas that have previously had little to do with conspiracy theories about government coverups of extraterrestrial life and technology. All of those who have volunteered their services are simply a reflection of the success Goode has had in getting his testimony out to a wide audience that resonate with the transformative message contained in what he is saying, despite its more gruesome aspects such as a galactic slave trade and forced labor. Others who have been in the UFO and ‘exopolitics’ fields a lot longer than Goode are bound to be envious of his success, and may even launch public diatribes when they see one of his videos go viral. This is a natural psychological defense mechanism when one feels their own work is being largely ignored by the public. I’ve gotten to know Goode very well since April 2015 when I began sharing his email responses to my questions, and have maintained regular contact with him up to the present day. I’ve found nothing awry with the way Goode is disseminating his testimony in the most effective way possible, so the public can decide for themselves how true it is. Importantly, he has never asked me for financial compensation for sharing his information, and has only been concerned with ensuring its accuracy, and it being freely available. To this day, all the information Goode directly provides me, often scooping his Cosmic Disclosure interviews, is released on my website for free public perusal. Hopefully, this puts to rest to claims Goode is out to enrich himself, even though he has every right to earn a living from the information he has to share after going public, and thereby negatively impacting his professional career prospects. This takes me to the third set of criticisms leveled against Goode pertaining to when he was a member of the Project Avalon Forum up until the end of 2015. I read all Goode’s posts on the Avalon Forum where he had both supporters and detractors. While he was an active member, he had clear support from the Project Avalon admin team in getting his information out. That didn’t mean that they all believed Goode, but it meant that they thought his testimony touched on important issues, and was worth getting out into the public arena to stimulate public debate. On multiple occasions members were asked to engage in respectful dialogue with him, and avoid ad hominem attacks. Unfortunately, there was a falling out between Goode and the Project Avalon administration, which to an external observer appeared very similar to an acrimonious divorce. The Project Avalon administration and members who were previously saying Goode’s testimony was important to consider regardless of whether or not one believed him, were now saying he had been disingenuous all along, was scamming the general public, and had ripped off other whistleblower testimony, etc. A wave of ad homimen attacks began that continue to the present day. Quite a turn-around, and very disappointing for visitors like me who witnessed it all sadly play out in slow motion. I don’t want to get into the specifics of the falling out between Project Avalon and Goode since he has responded in detail to the most recent set of criticisms leveled against him. What I believe is happening is that there are many competent researchers at Project Avalon and in the UFO field more generally who are truly mystified by Goode’s popularity, and why his testimony continues to go viral. Their insistence on hard evidence doesn’t seem to slow down the public’s appetite for anything Goode has to say as he reveals incredible details about humanity’s ancient history, extraterrestrial visitation and secret space programs. This is bound to accelerate once Goode appears on Ancient Aliens with its massive audience base. More prominent public visibility is going to lead to more supporters, and the inevitable push back by veteran UFO researchers who resent the way Goode is shaping and influence public opinion about UFOs, extraterrestrial life and classified military/corporate projects. Indeed, a determined few view Goode as an existential threat to the field who has to be stopped before further damage is done. Hence the public attacks are stepping up and becoming more vitriolic. The simplest answer to Goode’s growing popularity is that people who watch videos of his testimony feel deeply that he is being honest and genuine. They are confident in their ability to trust their gut feeling or intuition, and not dependent on hard evidence, which can itself be manipulated. We only need to recall how hard evidence was contrived to support Iraqi weapons of mass destruction that led to the 2003 Iraq War and turmoil ever since. So Goode will continue to attract many more supporters as Gaia TV continues to expand its 300,000 subscriber base with the success of Cosmic Disclosure, and millions more will soon see him on Ancient Aliens. Goode will also have his detractors demanding hard evidence to substantiate his claims before accepting any of it. Others will trust their gut instincts and spread the word about the truth of what Goode is revealing. Is there a middle ground in what is surely going to be a growing public debate over his revelations? Currently, there is an effort underway to substantiate Goode’s testimony through FOIA document requests, which I am involved in. As documents are received and analyzed, there will hopefully finally be hard evidence that emerges that substantiates some of his core claims. This will enable researchers to gain a better idea of the big picture concerning extraterrestrial visitation and secret space programs, and hopefully finally settle the question over Goode’s credibility. Are Secret Space Program Disclosures Prelude to a False Flag Alien Invasion? ← Is Pentagon using MOAB bombs against Giants hidden in Afghanistan? Thank you Michael for all your hard work and integrity. What Corey’s testimony is doing is not only blowing apart the dark side of the Space Programs, but the dark side of the UFO researchers who have big egos which do not like being upstaged. This is what happened with Greer and now Ryan. They invested their ego in being “informed experts” about these issues, but really it turns out, they only knew the surface of it. Corey has been in it and thank god his memory has returned to fill in the lower part of the iceberg. I have known about this invasion by aliens and space travel for 24 years because of a lover who was caught up in it and my own ability to remote view his life, but who would believe me? Finally with Corey’s information AT LAST I have someone who tells everyone about this crazy secret world and the courage to talk. For me it has changed my life. Thank you; Thank you for giving this balanced view of the stupid fighting which is how the dark dispel their opponents’ power. Shame on Ryan and Greer for being so damn petty.